Short Sale, Foreclosure, Bankruptcy? Buying your next home is closer than you think! Over the years The Storck Team has worked with many short sale clients or people with the foreclosure cloud looming over their heads. One questions is commonly asked, when can I buy again? The Storck Team would like to share the new HUD Back to Work program for those in the post short sale, foreclosure, and bankruptcy stage. This is an amazing program that can have you eligible to purchase again in as little as 12 months after your credit hardship. Call on The Storck Team today to see if you qualify for the HUD Back to Work Program. Click here to view the 4 short-sale myths! Are you thinking of short selling your home due to any of the reasons mentioned in the article, or otherwise? You need a good team in your corner. Call The Storck Team for more information. 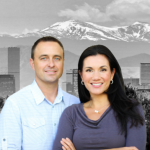 The leading short sale specialists of the Denver Metro Area!